The Northwood Large Hickory Hand Hookaroon is made from top quality USA Hickory Wood. 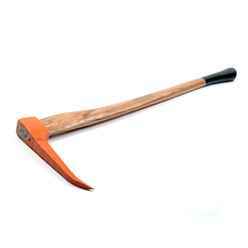 It is ideal for moving and picking up tree trunks and larger pieces of wood. Northwood axes are designed and built with quality in mind. They all have Hickory handles made from the best Hickory wood in the USA. Northwood axes meet the same high standards as their other forestry products with first class materials combining with ergonomic design to produce ideal tools for use within the forset or garden. Typical delivery is 7/10 working days (please refer to each product for an estimated delivery date, please note this is not a confirmed date).